Precarious employment is increasing in the Hamilton and Greater Toronto Area and its harmful effects on individuals, families, and community life are documented in a recently released research report. On the podcast, The City hears from labour economist Wayne Lewchuk and lead author of a research study that explores poverty, employment precarity, household wellbeing, and community involvement in southern Ontario. The report seeks to broaden the public discussion around poverty, and implicate deteriorating work conditions as a major aspect of poverty and social wellbeing. The report is a collaboration between McMaster University, United Way of Toronto, and the Poverty and Employment Precarity in Southern Ontario. 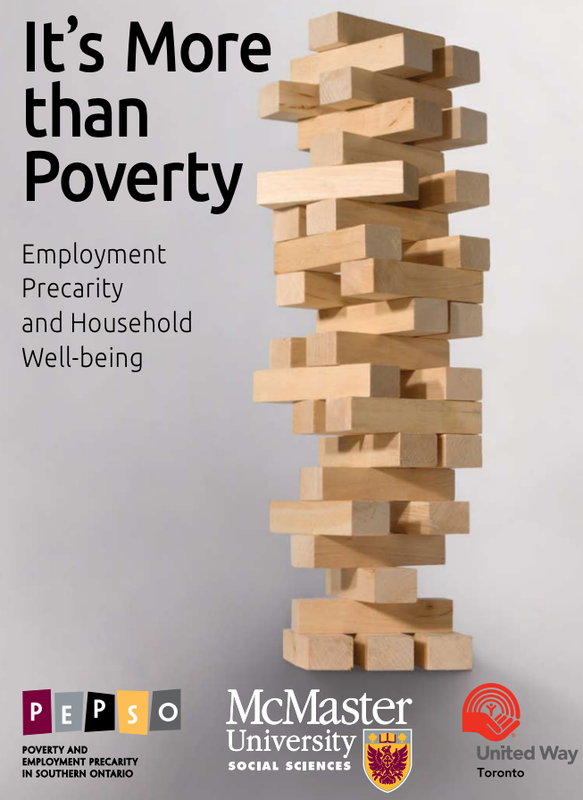 It’s More Than Poverty: Employment Precarity and Household Wellbeing examines the dramatic changes in precarious employment over the last few decades, revealing that only sixty percent of all workers in the Hamilton and Greater Toronto region have stable, secure jobs. In addition to looking at the impact of precarious employment on individuals, the report also looks at its harmful effect on families and communities. Wayne Lewchuk also discusses how the economic and labour landscape in Hamilton and the Toronto region has drastically changed over the last 30 years. While the Fordist era was characterized by mass employment (for white men, that is), mass consumption, and an interventionist state, the post-Fordist era is notable for labour market deregulation, income/wage polarization, and the subsumption of full employment as a policy goal in favour of labour flexibility and the perceived demands of business and corporate interests. While this report focuses on the Greater Toronto region, it raises broader questions about employment security, social inequality, and community wellbeing for cities across Canada and beyond. Wayne Lewchuk is professor of labour studies and economics at McMaster University in Hamilton, Ontario.